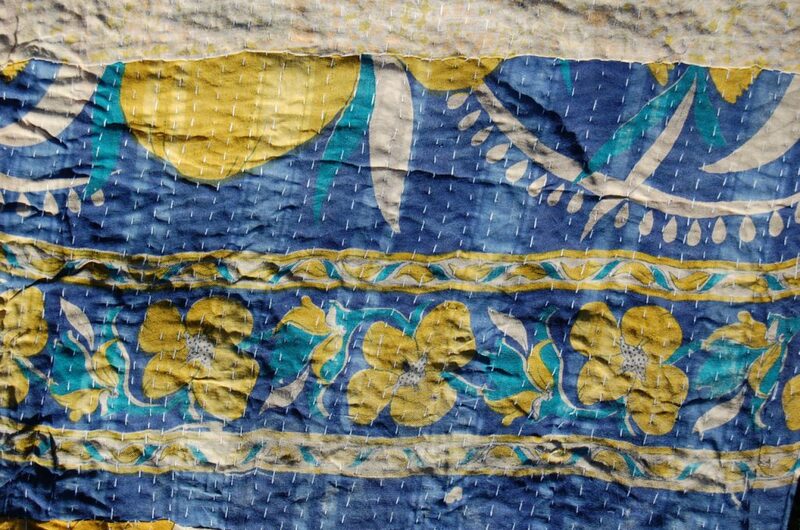 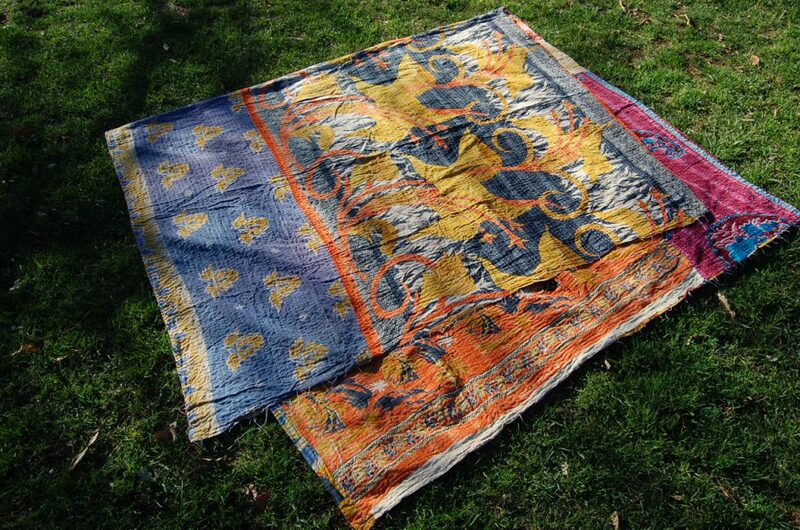 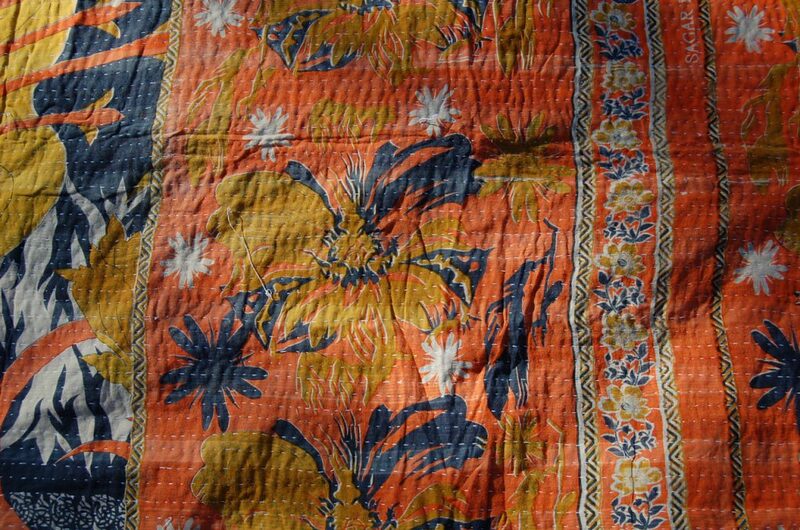 This light weight kantha embroidered patchwork quilt is full of character and charm. 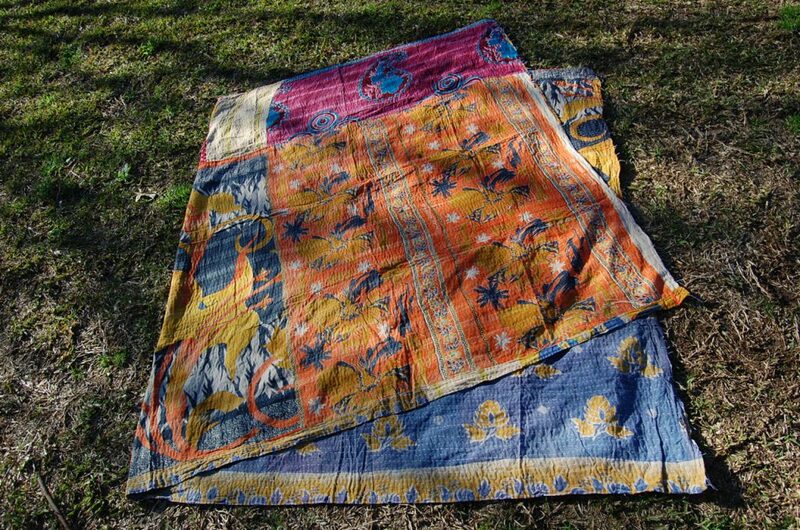 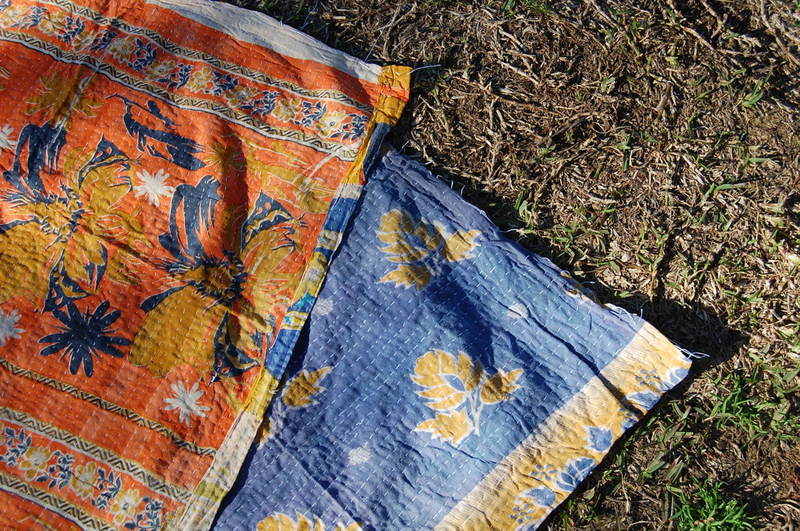 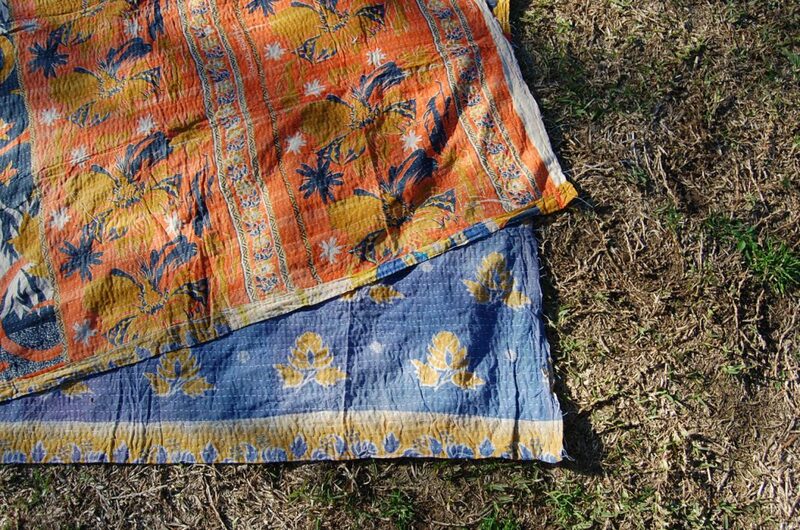 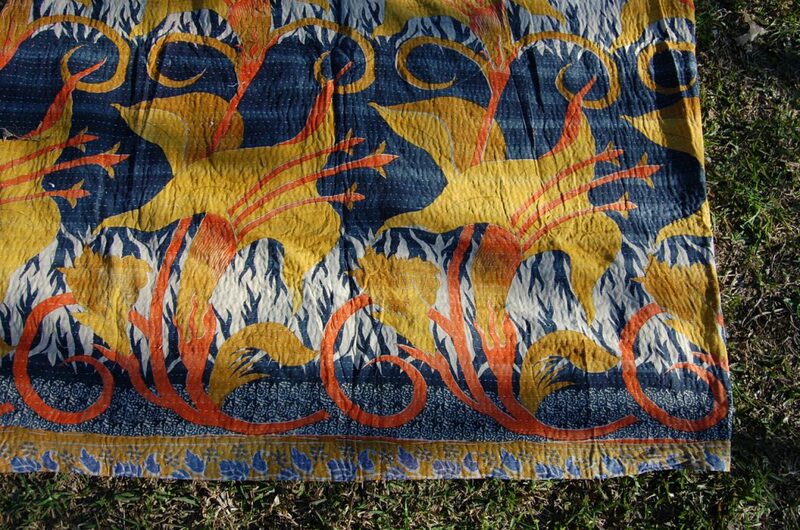 An eclectic combination of vintage saree fabric patchworked together to form a unique hippie Indian tapestry of blues, yellows, oranges and pinks. 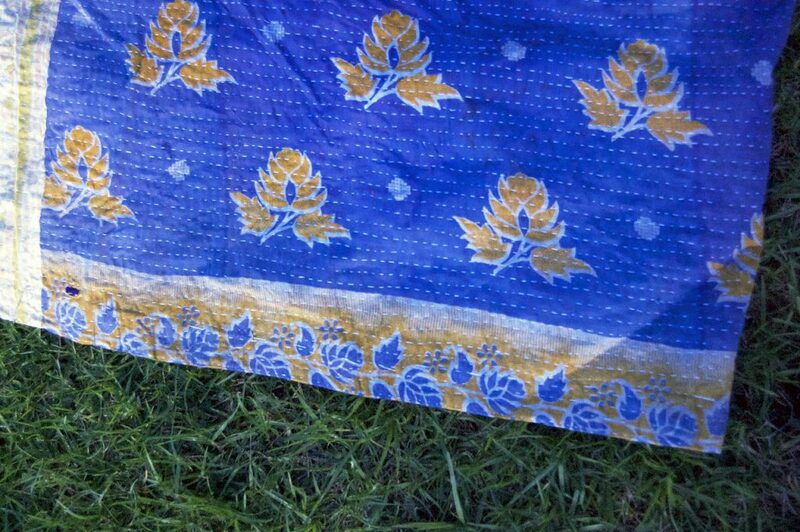 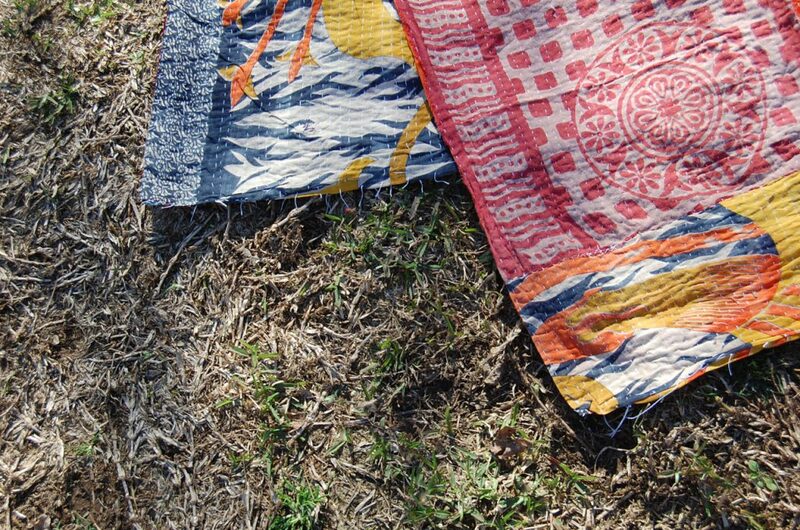 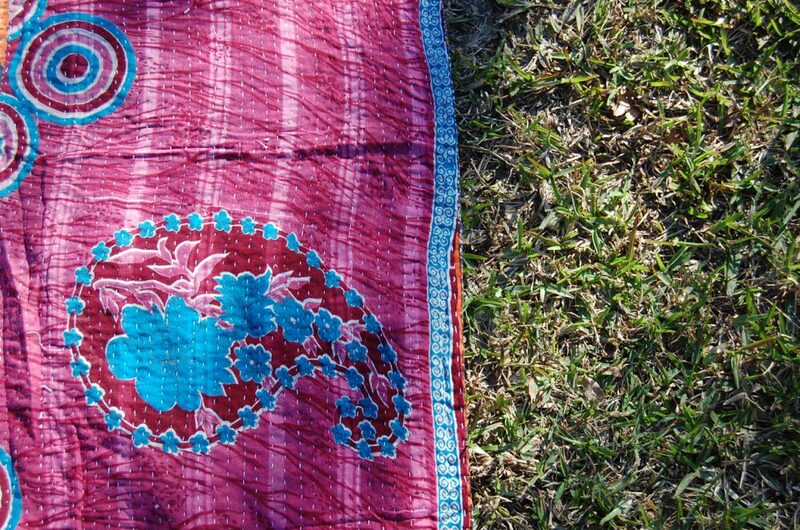 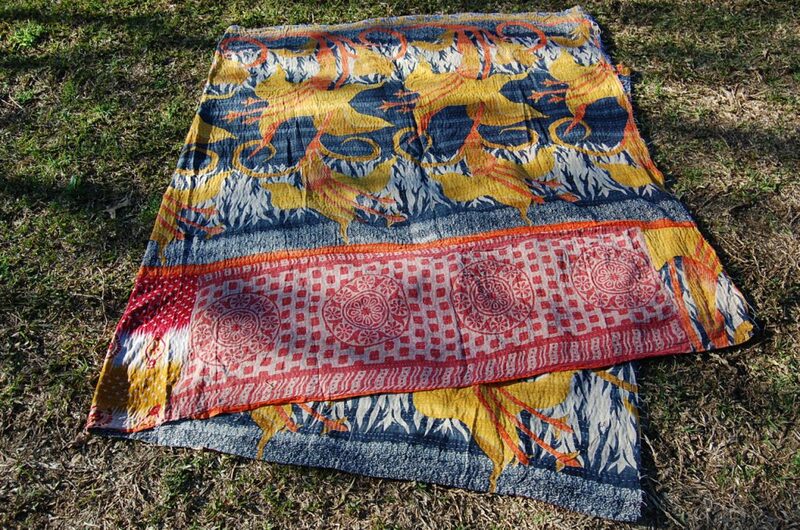 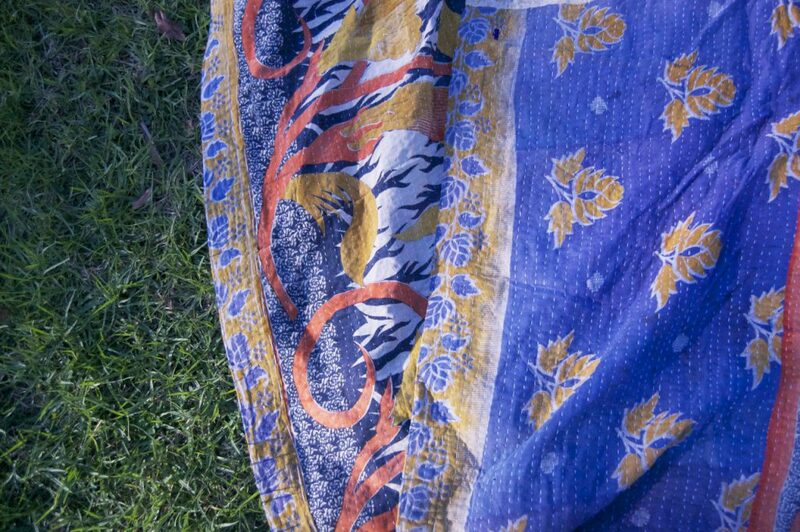 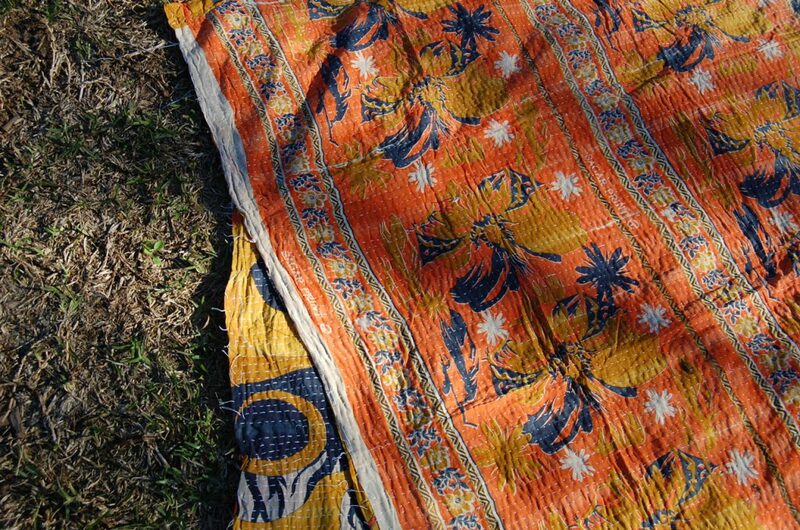 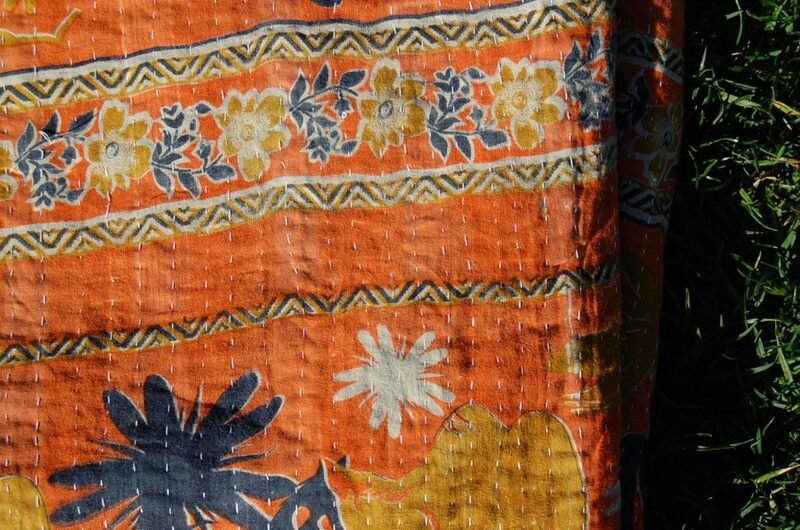 For more Kantha quilts India visit our shop here!